»General»How does a racist hide racism? How does a racist hide racism? A racist claims to not be a racist when the racist says he or she believes we are all one race, the human race. I make the same claim. The difference between the racist’s use of the phrase and mine, is my context is not the same. I recognise difference, the need for cultural intelligence and I have an understanding of history and accept in some circumstances affirmative action is required. I’d heard rumours the “Bolt laws” are to be repealed and my attention was drawn to an article in The Guardian, titled ‘Bolt laws’: should it be unlawful to insult people because of their race? presenting for and against arguments. The balance here is preventing “racial” vilification while allowing free speech, something I’ve never quite been able to settle in my own mind. I’m caught between the devil and the deep blue sea on this one. As much as I quite clearly despise racial vilification and worry about the power of the media “educating” people into hatred via such manipulative techniques as engendering moral panic in the community, I also believe in free speech. Where does one draw the line between ensuring penalties for what can amount to endangerment of lives (racial hatred inspired physical attacks, for example) and ensuring adequate and constructive discussion about life in a diverse world? Cultural Intelligence requires we actually discuss difference, but if we stifle discussion, we potentially stifle understanding and progress. People like Bolt are a danger to the community, peddling hatred and nastiness rather than understanding and acceptance of diversity. The best solution for humanity is one we are perhaps yet to determine. I think the first part of your comment is brilliant. But saying Andrew Bolt is dangerous and peddles hatred and nastiness is not really fair. If you listen to his shows and read his articles (yes I know I’m asking too much) you’ll see that he doesn’t like anyone who uses racial division. He always makes the point that we humans all belong to one race which is true. And btw he himself is a first generation Australian migrant. I’ve read “Am I Black Enough For You” by Anita Heiss (if you are interested in my review, it is here) which Anita wrote as a result of the article about her and other Aboriginal people by Bolt. The article resulted in a court case that Bolt lost. I highly recommend Anita’s book. In my view, Bolt should not have won the case. When racists claim we are all one race, they are not speaking of DNA or other scientific findings. What they are really saying is “I believe we are all one race so I can demand we all be like ME!” In other words, if you are different, too bad. The problem with this is a little thing called HISTORY. It is not that long ago people with really dark skin were considered non-human. I don’t think I need to provide links, we all know that historical fact. We can’t wipe out the results of that history overnight and say, “Oh, but I accept you as the same as me now so you have to BE the same as me.” While science now tells us we are all one race, science and society are two different things. Black people in various locations around the world were not considered the same race at all. They were treated as a different race. That treatment carries into the current day, irrespective of science: it is the social aspects, not the scientific ones, that require redress. The world of science may have accepted the facts, but society has a long way to go. The following is written by an American and while in Australia we are not quite so into profiling, the sentiment is applicable to the above context. I do not wish to get into whether or not race actually exists scientifically or not, because my approach is how it is used as a social construct. Racial profiling is here and ever present. Our census is based on it. Nearly every form we fill in for political, educational, financial or health surveys have some link to race and or ethnicity. Irrespective of skin colour, there is the question of culture. Even Caucasians have a multitude of different cultures, making us, gee, DIFFERENT. Cultural Intelligence is the study of understanding, appreciating and respecting cultural differences irrespective of such minor DNA variations as skin colour. My apologies to those who feel my use of the word “minor” inappropriate, but from a scientific perspective, it is very small. Culture also has an historical perspective. Even today many cultures are still what we westerners may consider very traditional. People relocate and hopefully adapt and assimilate, but while they are members of the same human race, they are different – their culture is different, their history is different, their way of being is different. Affirmative action is a method of remediation of aspects of history many people love to argue about. I have no intention of arguing about it today. I will (yet again) let Tim Wise present the case because he does it so damn well! When anyone says to me they believe we are all the one race, the human race: I wait. I wait to see what they say next. Do I see them recognising other aspects, cultural and historical, or do they go on a rant along the lines of “we are all the same and none need any special treatment“? Equality does not mean sameness. Not in relation to “race”, gender or any other of the grounds for discrimination we humans love to find. What is the difference between an insult and vilification? To me, an insult is essentially a one-on-one event, a private act. Vilification is incitement of others and a public act. In Australia we are very good at inciting moral panic. I have used this example before, but to save you clicking about, I’ve reproduced it here. There is a fine line between moral panic and hatred. I am sure readers can see the similarities between the above and Bolt’s original article and subsequent case. If anyone suggests vilification can’t escalate into violence, perhaps a little history about the Holocaust might remind everyone it does happen. Or the “ethnic cleansing” in any number of places around the world in more recent times. Don’t be fooled. As to an appropriate legislative position on all of this? I repeat what I said earlier: “The best solution for humanity is one we are perhaps yet to determine.” Why? Because free speech is also very, very important. It is how we learn, communicate new ideas, develop understanding of each other, exchange concepts. Without free speech, climate change deniers could be running riot, for example. Free speech is also often impinged by social dictates of who can say what: my husband and I could say exactly the same thing and from him it would be accepted whereas I would run the risk of being called a racist. Neither the statement nor the facts would have changed, just the speaker. I believe in time, this will change too, but we aren’t there yet. This is why we are all caught between the devil and the deep blue sea. We have to be careful to both protect the innocent and not stifle development and progress. We’d all still believe the world is flat if we were to be too restrictive. No-one would be “allowed” to be an atheist. It is a fine balance and both the writers in The Guardian article make valid points. I wouldn’t be repealing just yet. Society is not mature enough. If it was, Bolt would never have written the article which led to this debate. The law is an important stand against ethnic (even if the legislation still uses the word racial) intolerance and discrimination. Over the past two decades the provisions have been in effect, the courts have struck a balance between a right to free speech and a right to be free from discrimination. While I value free speech very highly and restrictions on speech bother me, I recognise we need to be very, very careful about allowing people to invite hatred and moral panic. For me, this debate extends to the vilification of asylum seekers. Section 18C of the Act makes it unlawful to commit an act that is reasonably likely to ‘offend, insult, humiliate or intimidate’ on the basis of race. Section 18D makes explicit exemptions for free speech that is conducted reasonably and in good faith. A change in the law would send a dangerous signal that bigotry is acceptable particularly if it is the first piece of legislation introduced by the Attorney General. The Australian community values racial tolerance and harmony. The Australian community supports the current legislation. A lot is made in the media of the right to not be offended. We have to trust the courts to take a sensible approach. For example, I don’t think every private interaction should be subject to the legislation, that would be impractical and impossible to police. However, neither would I expect to face being offended every day in the work place via a culmination of “private” interactions to which the management turned a blind eye. I would not expect newspapers to publish insults publicly: having done so that insult becomes vilification, a public act, seeking agreement from readers. I do not know Andrew Bolt personally, therefore I can only assess his values based on what is in the public domain. He may merely be a lazy columnist who allows himself to appear racist as click-bait: not just to people like myself but to the courts. I will keep to my line of “we are all one race” in the hope that one day society catches up with science. We aren’t there yet. As usual when I write articles on the topic of cultural differences, I recommend Cultural Intelligence: Living and Working Globally as a good basic text on the topic. Edit November 17: there are two petitions on Change.org that I am aware of currently in relation to the proposed repeal. Over many years, I have had considerable involvement with a community organisation that provides support and assistance to migrant women. I have heard many stories of racial abuse, humiliation and insults. Same with Indigenous people. The laws of a civiliased society should be there for the protection of the most vulnerable not the protection of the most aggressive. Free Speech is a furphy…all societies have limits which are enshrined in law. If anything I would have thought the Act needed strengthening not watering down. There is a huge difference between debating issues and having diverse opinions (free speech) to offending and insulting people. Problem is many cant see the difference. Glad you liked it Betty. I agree with you totally. If you decide to go ahead with that submission, I’d be happy to help. I don’t have the time right now, unfortunately, to prepare a full submission, although I do believe this is something I could make a valuable contribution to. You said above “There is a huge difference between debating issues and having diverse opinions (free speech) to offending and insulting people” – I’d add something to that – inciting hatred is not the purpose of free speech and it is worse than offending and insulting. Inciting hatred and moral panic in the community is what MUST be prevented. By race, do you mean colour? Most ‘racists’ are actually people who insult, abuse, etc. people with a different colour skin – and yes, black/brown people do it too. And don’t mention ‘The Untouchables’ of India lest you be labelled a Casteist. I don’t like to use “race” at all, but in this context I am referring to ethnicity. Many similar ethnicities have issues: Arabs/Jews, Greeks/Turks, Croats/?, etc etc. It is not all about colour. It is mainly about “they are not like us” whoever “us” is. Yes, every ethnicity has been known to do it, however that doesn’t mean it is beneficial to the human race. What an interesting and thought-provoking piece. And I really mean thought-provoking, Since I started it I’ve been having all sorts of thoughts. I’ll attempt to gather them, but you know how sometimes they’re coming so quickly you wish someone else would just gather them for you? So I apologise in advance if this is a little chaotic. I’ll try and put it in some kind of order. I dislike the word ‘race.’ I find it misleading. For many of the same reasons you’ve elucidated above. It is essentially an outdated scientific concept (let’s get the science out of the way first). The science has moved on. When science has nothing else to go on it does its best with simple observation. Psychiatry/psychology is still in that phase and will probably soon be replaced by neuroscience. 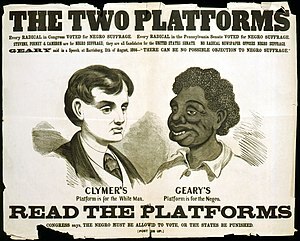 Until the 19th Century observed ‘racial’ differences were open to all sorts of interpretations. ‘Race’ became almost a pseudo-science in itself, one that was put to all sorts of disgraceful and self-serving purposes. Slavery comes to mind. However great developments in the real sciences of archaeology, anthropology and of course biology have rendered the concept obsolete. With the discovery of DNA biology spawned a whole spin-off science, genetics. A geneticist would not use the word race. An evolutionary biologist would say that race is an artificial construct, a hangover from pre-historic out-group hostility. A geneticist would say that we are all one species, and that in fact they have moved on to wondering whether we can even be called a discreet species. According to the standards by which we classify other species it can be argued that we are merely a sub-species of great ape, given our genetic similarity to chimps and gorillas. We ourselves show remarkably little genetic variation compared with other species, even endangered ones. Current scientific thinking about that is that sometime in the last 100,000 years we were reduced to a population of no more than a thousand individuals, from which all 7 billion of us alive today are descended. The observed ‘racial’ characteristics, particularly the most ubiquitous of all, skin colour, are extremely superficial climatic variants. Since we’ve had people moving around the world, to different climatic zones, we’ve been able to see that melanin production can begin to adapt in just a few generations. Having said all that, as you pointed out there are differences, undeniable differences that must be recognised. Even within our rather limited genetic diversity, there is ethnicity. It is real, it is important. There is also culture, which is even more important. I know that to be so because in the process of thinking about racism I was forced to recognise how culturally specific my reaction to it is. It’s politically specific too, but I’ll come to that later. I’m Scottish, and we’ve had a rather unusual history as a people/nation. We were/are cut off from the rest of the known world by some of the world’s more treacherous oceans, and connected only with our next door neighbours, a country of many times our population, with a succession of particularly acquisitive rulers. We were invaded many, many times, though never successfully. Hence we’ve never actually had any argument with anybody else in the world. We tend to see racism as a rather unsavoury English disease. Also, we never had slavery. An early Justice of the Court of Session (our highest court) ruled in a test case brought by a slave whose ‘owner’ had brought him to Scotland, that not only did slavery not exist in the Kingdom, it had never existed. It was in fundamental conflict with Scottish cultural characteristics. So that’s culturally specific part one. Part two is that we went through the second world war. Not like Australia went through it (sorry! ), or even like America went through it. My parents grew up with it. My home town, Clydebank, was the second-worst bombed town in Britain. I grew up with the stories. But that’s not all. This is where the political bit comes in, because Clydebank was an extremely political town. It used to be a shipbuilding town, the very epicentre of the famed ‘Red Clydeside’ of the teens, 20s and 30s. So they saw their fate through a political lens. They recognised the ideology that was responsible for it. My uncle served in both the army and the RAF as a dispatch rider. He saw Bergen-Belsen. Now I myself was part of the organised left in Clydebank in my teens. The perspective I gained from that, and from all of the above history, informs my attitudes towards nazis, fascists and racists of all kinds to this day. And that leads me to the question – how do those attitudes sit with my belief in freedom of speech? It’s an old question – though still an important and valid one, because it’s never been definitively answered – where does one person’s freedom of speech end and another’s vilification begin? Is there, in fact, an overlap? A place where vilification must be accepted in order not to curtail freedom of speech? I suspect we’d all have our own answers to those questions. I always say that I draw the line at hate speech, but I suppose I’ll have to explain why, and what I mean by that. My starting point is that there’s no such thing as absolute freedom of anything. Unless it was for just one person, because that would remove all freedoms from everybody else. Now, as you pointed out, we need the freedom to challenge dominant paradigms or we’d never progress in our thought, and that inevitably means criticising people. So here’s where I draw my personal line: I reserve the right to criticise anything you do, anything you say or anything you think. There is, as Stephen Fry so eloquently pointed out, no right not to be offended. Even about your religion. You chose to believe it, therefore you are responsible for it. This is absolutely necessary to the democratic discourse within societies. What it would be wrong to do, as well as stupid and pointless, would be to criticise you for something for which you are in no way responsible, such as the colour of your skin or where you happened to be born. Where it gets tricky is with the matter of culture. We must try to rise above our instincts of out-group hostility and accept our cultural diversity. As a former traveller I learned to adapt I’d say pretty well, although I won’t pretend it was always easy. But then there is some cultural baggage I think we need to lose, and culture is partly if not entirely willed. We can choose to consign bits of our cultural heritage to history, and we frequently do. Richard Dawkins talks of a ‘moral Zeitgeist’ (no, that’s not a mistake, in German all nouns are capitalised) which is constantly in flux. This is why when you read pretty much anything written up until at least the 50s you’ll find it peppered with racist assumptions and stereotypes that would be completely unacceptable today.. Today there is a fight to leave behind the practice of so-called female circumcision. My own lot, the Celts, once practised human sacrifice, but thankfully those days are long behind us. I can’t avoid noticing that many of the unpleasant cultural traditions, the baggage we’d quite like lost at the airport, is associated with religion. Just saying. Anyway, in conclusion, the political part of my opposition to racism and discrimination. I have many Australian friends who think freedom of speech ought to be absolute, or as close to absolute as possible. This means you have to tolerate people like Andrew Bolt and just hope his attitudes don’t take hold. I don’t agree. I don’t think it goes that far. I do think he regularly crosses the line into hate speech, and I think that until we are more mature as a society we do need some legal regulation to deal with that, because it causes real hurt and real danger to real people. I think the legislation we have, though imperfect, isn’t a bad attempt and I agree with you that Bolt’s loss was the correct decision. ACMA seriously lacks teeth though, as Alan Jones constantly demonstrates. The other part of it is, you’re a philosophical conservative Robyn, and I respect that, but I am of the old Red Clydeside shipbuilding left at heart. What we took to heart as lessons from the Nazi experience, well, firstly what is it? How does it manage to grow so large? Why is it (sometimes) so damn popular? The answer has to be that it’s the blend of xenophobia, economic nationalism and left wing populist egalitarian economic policies. That’s partly why many on the left felt/feel that neo-nazis are our problem to deal with – they’re stealing our clothes. The other reason is that we realised that there was a time, in the late 20s/early 30s when it was already clear how malign the Nazis were, how brutal they were prepared to be, but when they were still massively outnumbered by the organised left in Germany. The one chance to stop them before the carnage of the war was if the left, the political parties, the trade unionists, etc. had come out and driven them off the streets by force while they still could. We don’t want to make that mistake again. So I subscribe to the ‘no platform for fascism’ position. That is why I am quite proud to acknowledge my part in ensuring Pauline Hanson never got to speak in Melbourne. How about that, I’ve dragged it round to your first point. Better quit while I’m ahead. I always love your comments Derek, but I have to say I sometimes feel guilty. Many of your comments, and this is one, should be articles in their own right. I hit the send too quickly. Anyway, you sound as if you have a very similar perspective to my own. We both value freedom of speech and both detest racism. I think your point about whether as a society we are seen to condone the latter by giving free reign to the former is central to the balancing act we, as a society, must work on. I also liked your question o Twitter re is freedom of speech merely a first world problem and do those starving really care? It raises the question of whether freedom of speech is essentially a luxury. I agree we’re pretty close on this issue, but it’s interesting to observe how we got to the same place by different routes. And yes, I do think there’s an arguable case that freedom of speech is a luxury, first world freedom. That’s not to say I’m not extremely fond of my right to hop on the internet and publish to the world whatever I feel like saying. I am. I am conscious, however, of the fact that I do so from a first world city, untouched by war, famine or natural disaster. I might well have other priorities if circumstances were different. Unless, of course, that first world city contained the KKK and you were a potential target….. If I may disagree with you on your first statement about racists. A racist wants to be called a racists because in calling him/her a racist it lends support to that form of thinking. A racist is not an individual, but a representative of a group that considers itself a biological race different from other so-called biological races. In order to dismiss the concept of racist, one must debunk the concept of multiple biological races. If only one race exists, there can not be a racist because no other race exist in which to campare. Not here Paul, where it is explicitly illegal to be openly racist. So to sway other’s thoughts, one can find claiming not to be racist allows greater freedom to express beliefs. We have no freedom of speech in our constitution so the environment is somewhat different to that in the USA. I agree wirh you totally on the one race Paul. Only way we will ever get unity in the future. It was an interesting case and I think you would enjoy Anita’s book.